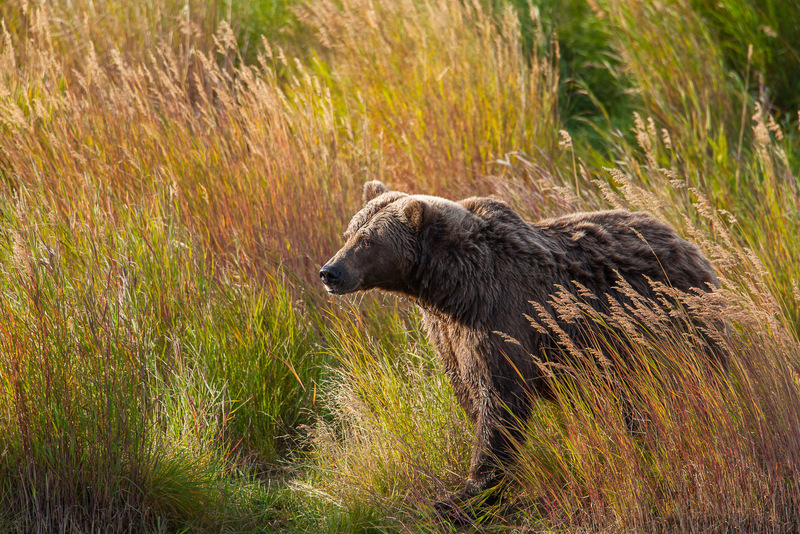 Peaking out among the tall grasses blending in to the environment this grizzly hugs the waters edge along river. The brown fur offers a great camouflage to the large hunter. Photo © copyright by Lance B. Carter.